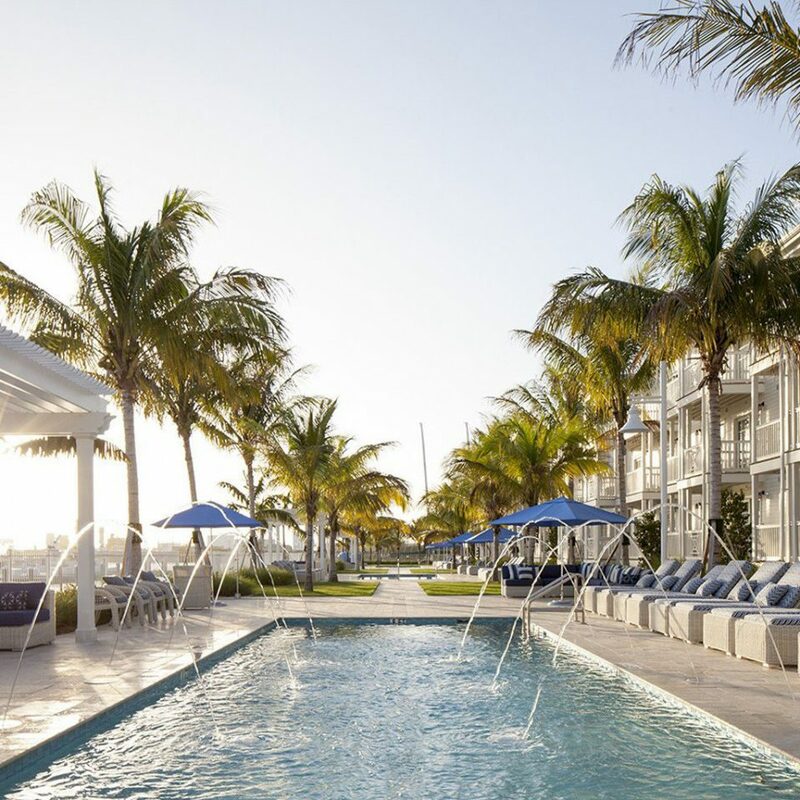 Key West escapes don’t come much closer to the sea than Oceans Edge Key West Hotel & Marina, which is – as the name suggests – set right on the Atlantic. 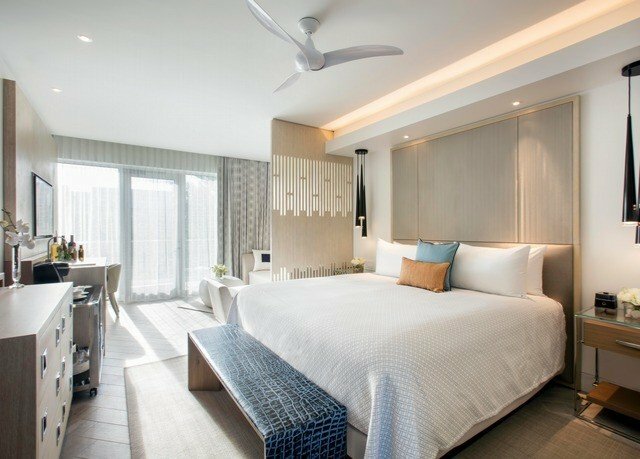 Stays at this brand-new luxury resort revolve around nautical activities, thanks to the selection of kayaks, stand-up paddleboards and WaveRunners available (although swimming in the six pools isn’t a bad alternative). If you’re here for the angling, choose the charter style that fits your needs, and try bottom, flats or tournament fishing; the marina boasts more International Game Fishing Association world records than any other in the States.? 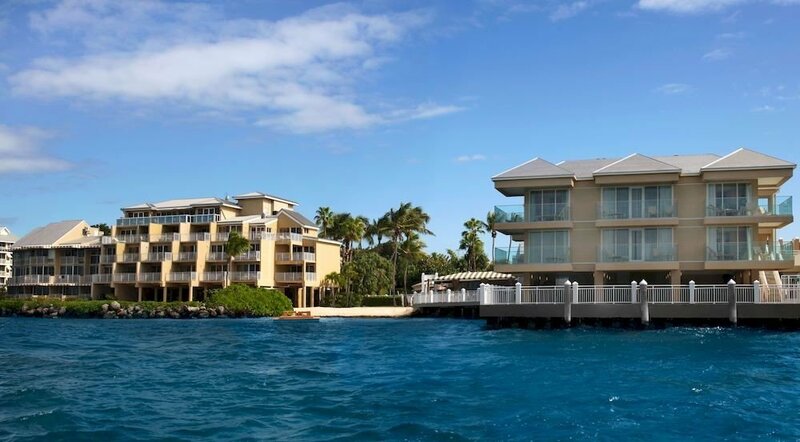 The hotel is also at Stock Island’s edge, this neighborhood being one of the hottest around. 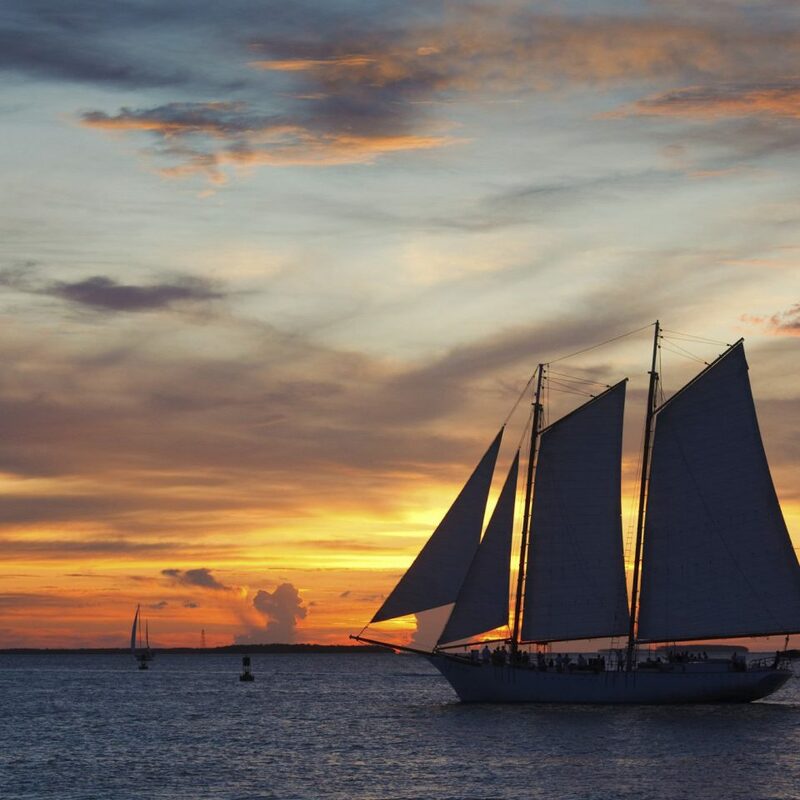 Called “the new old Key West” by The New York Times, the district has been reborn as one of Key West’s major cultural hubs, having received a cool half billion for renovations in the past decade and a half. 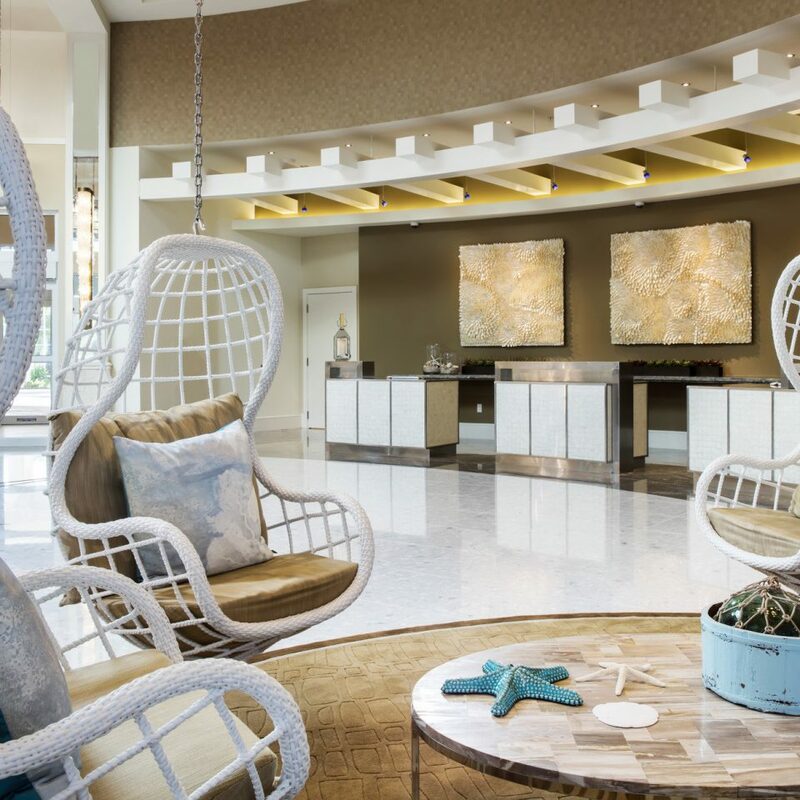 Now, bars and restaurants abound, with the hotel’s Porter & Sail digital-concierge service on hand to point you to the best options from here to Duval Street. 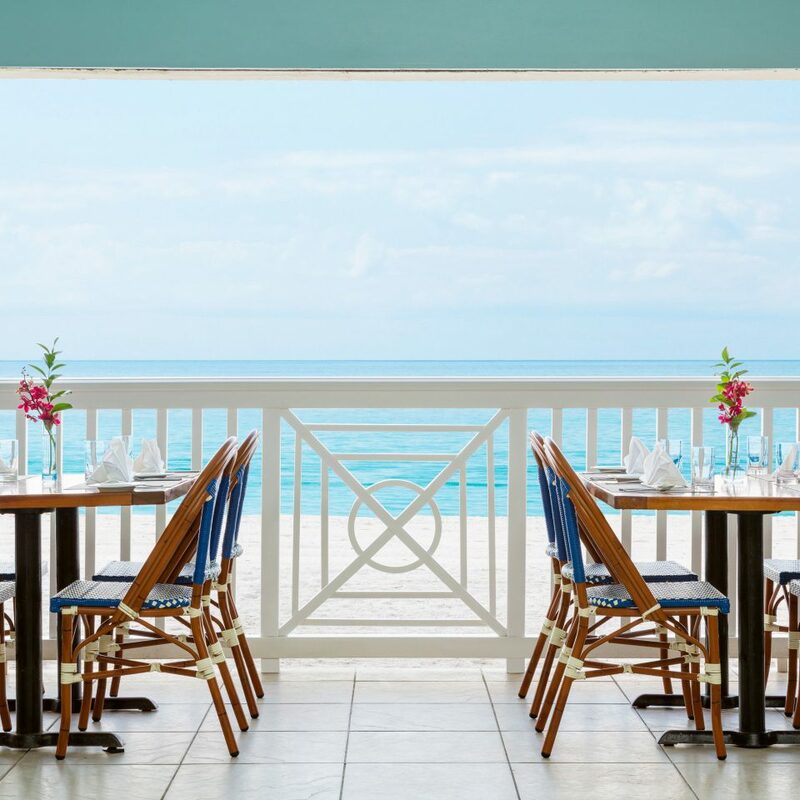 But it would be a mistake not to start with the eatery right here: Yellowfin Bar and Grill, where those fish that help make Oceans Edge such a desirable vacation destination are whipped up in Caribbean-American dishes. 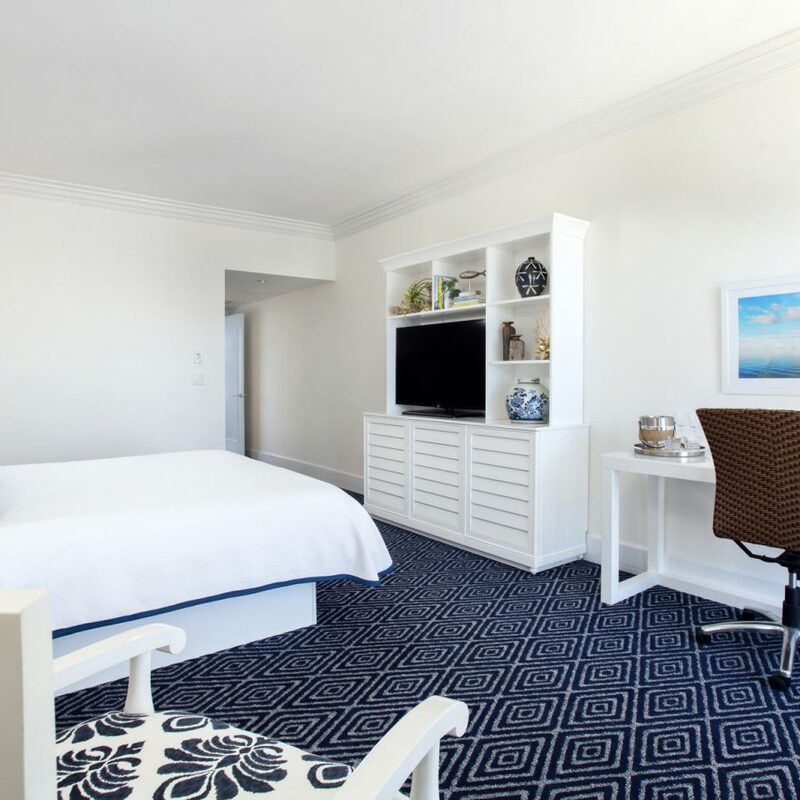 Please note that a resort fee of $27 (plus tax) per room, per night is payable directly to the hotel. The resort fee includes Wi-Fi, parking and use of the gym and pool. 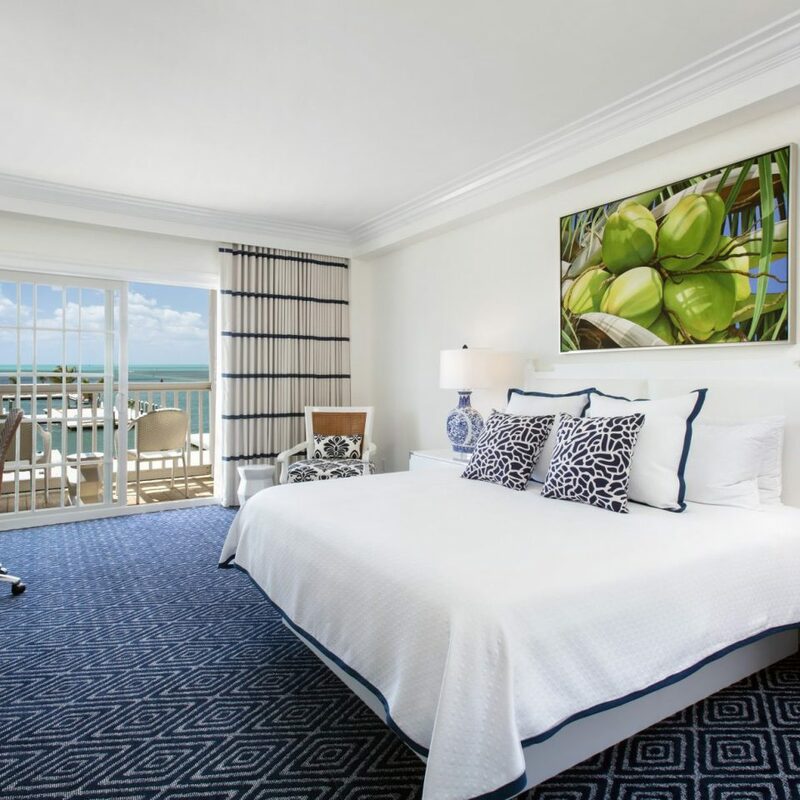 The resort’s accommodations are among Key West’s most spacious, each brand new and overlooking the ocean through floor-to-ceiling windows and from a private balcony. 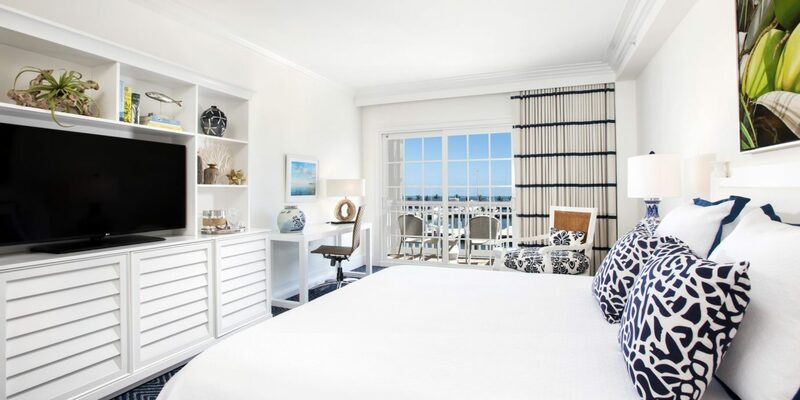 These outdoor areas are furnished, as well, offering seating and a cocktail table.Ocean Double Queen or King rooms measure 375 feet and, as you might have guessed, come with either two queens or one king bed. 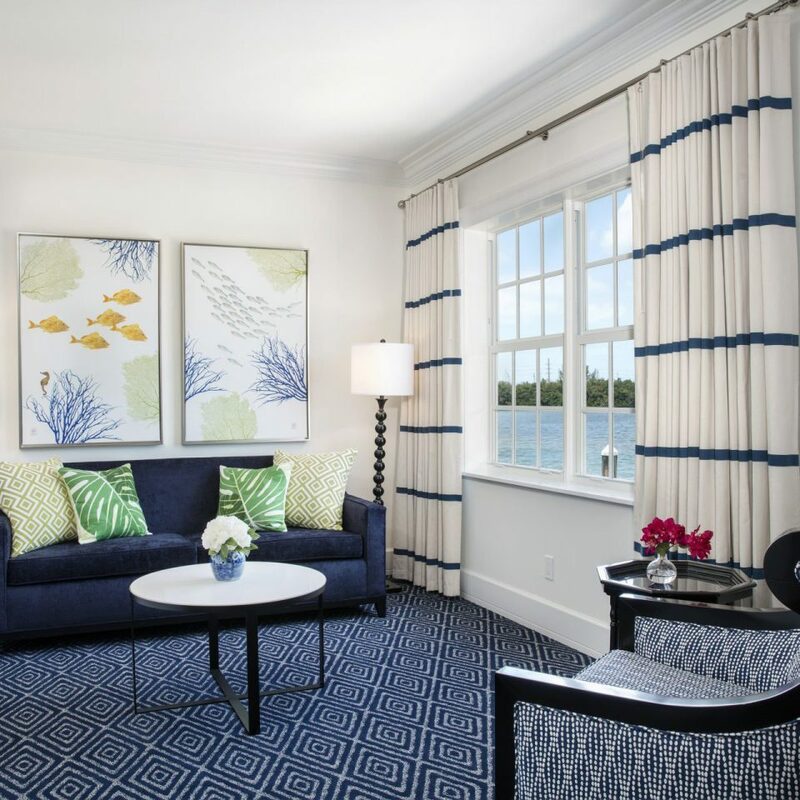 For more space, opt for the 573-square-foot Ocean One Bedroom King or Double Queen suite. 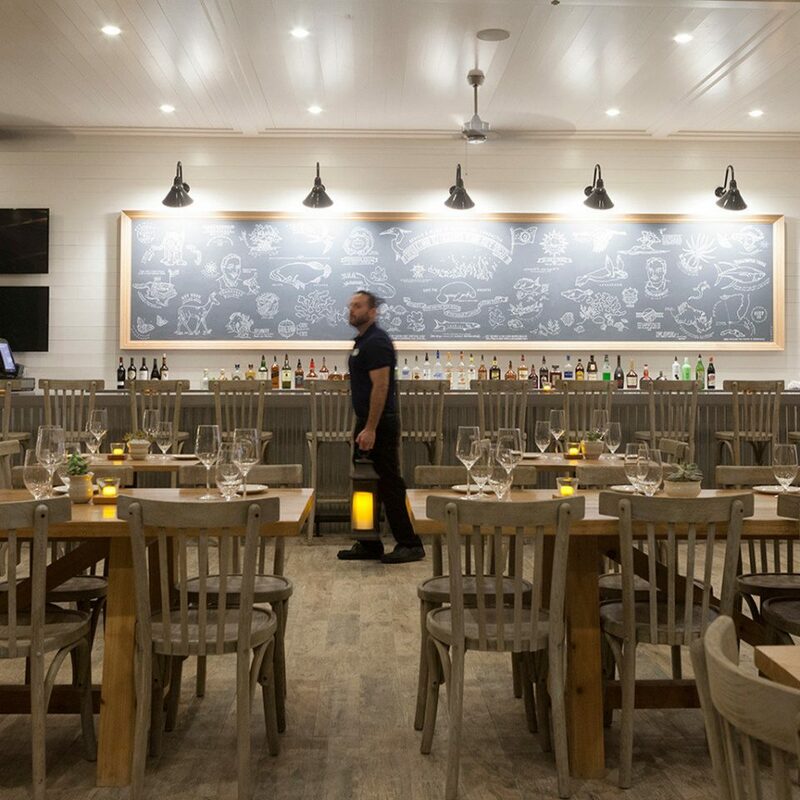 Yellowfin Bar and Grill whips up Floridian seafood into Canadian-American dishes at lunch and dinner, and serves a hearty breakfast, as well. 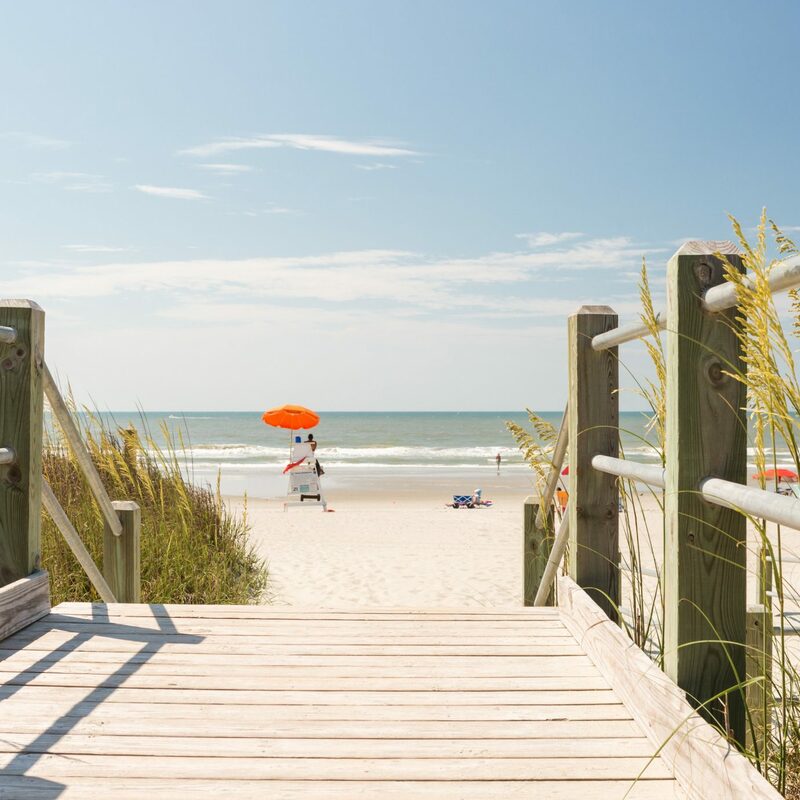 Take a seat on a handmade chair in the industrial-inspired waterfront dining room or in the al-fresco area, and order up berry-topped malted waffles, conch chowder, a fish sandwich or scrumptious scallop risotto. Don’t forget the Key-lime pie for dessert. 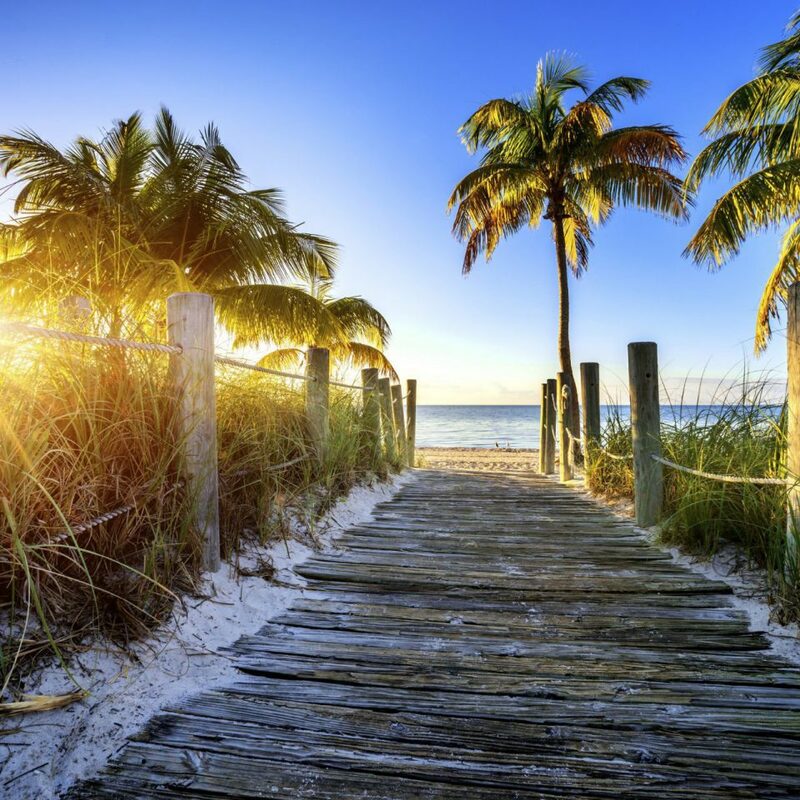 Key West is famous for its sunny weather and quirky characters. 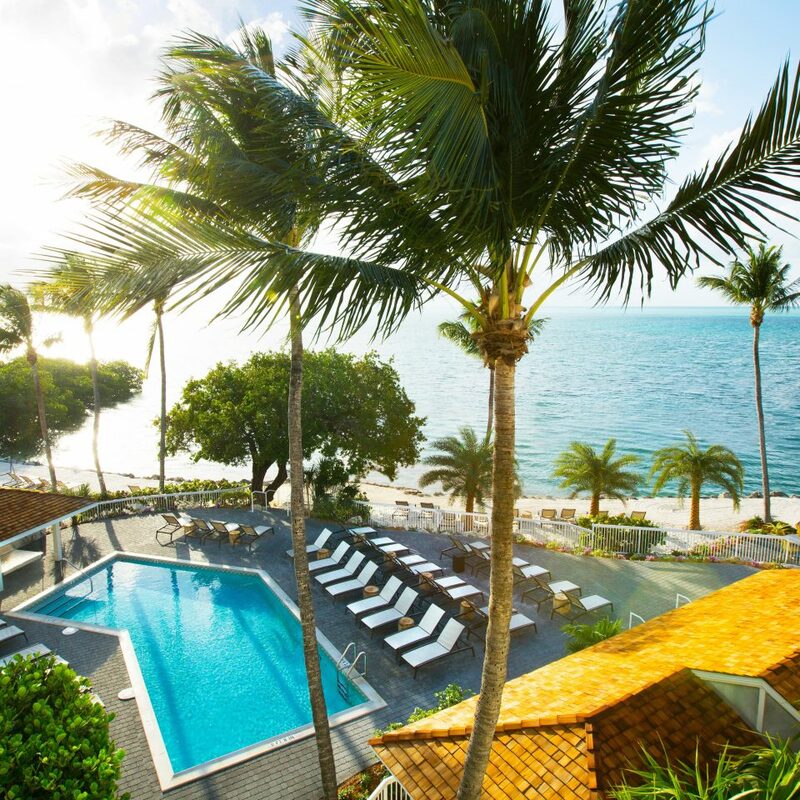 A Floridian getaway with a strong Caribbean and Cuban flair, it’s known for brilliant sunsets (best appreciated from gathering-spot Mallory Square), pristine and palm-lined sands and six-toed cats. 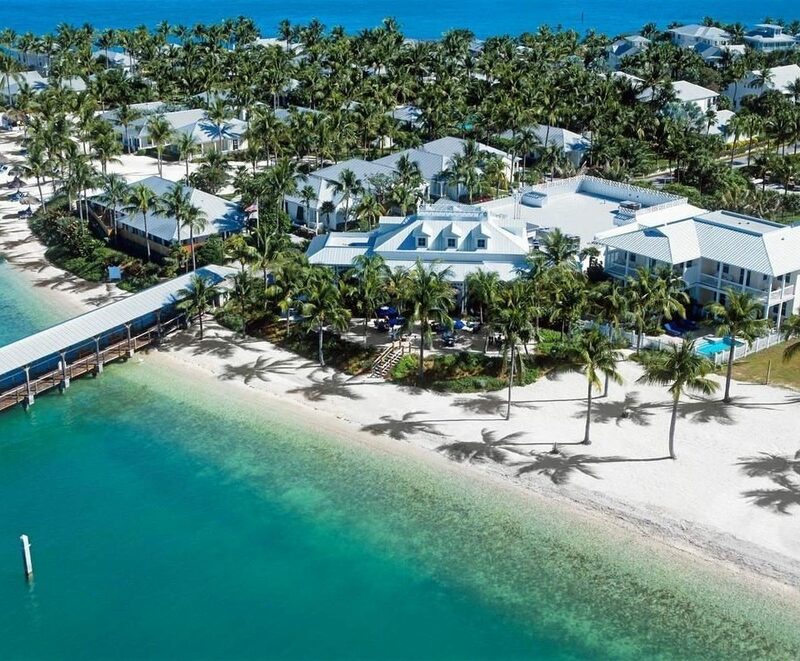 Hemingway spent eight years living here, and you can tour his landmark French Colonial-style home, or head farther south than east to get your picture taken at the southernmost point in the continental United States. Assorted scuba-diving companies are also on hand for day trips and excursions.You’ll be on the edge of the sea, of course, at the end of the Stock Island quarter’s Peninsular Avenue. 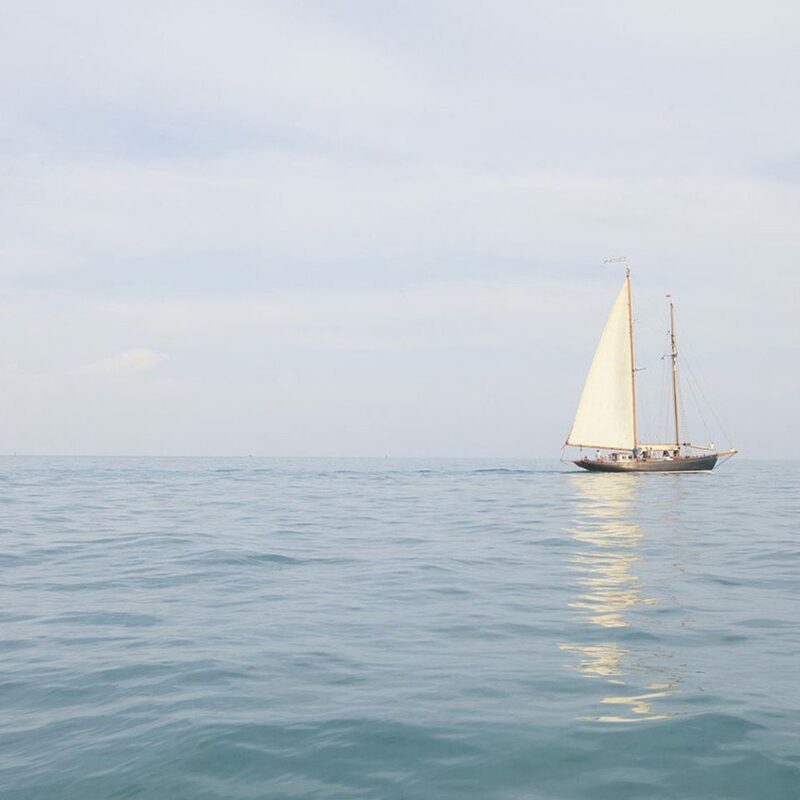 Duval Street, a golf course and Key West’s old town are all within reasonable driving distance, and the on-site 165-slip marina – which has played host to more International Game Fish Association world records than any marina in the States – is ideal if you’re looking to enjoy a fishing charter or snorkel boat. 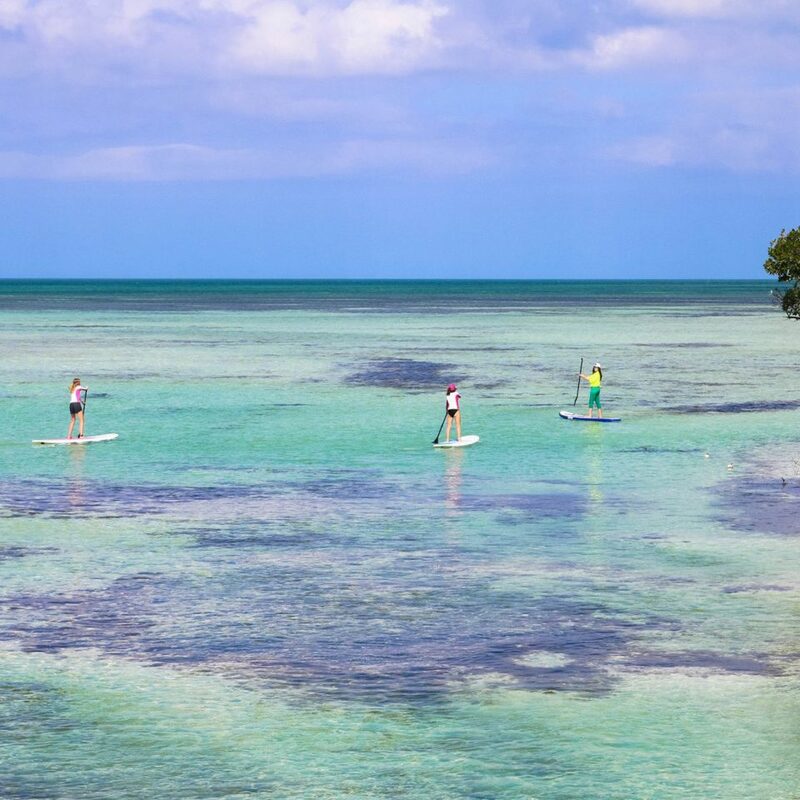 There are also a watersports center and paddle shop, plus a whopping six pools; visits to sandbars and Dry Tortugas State Park can be arranged. 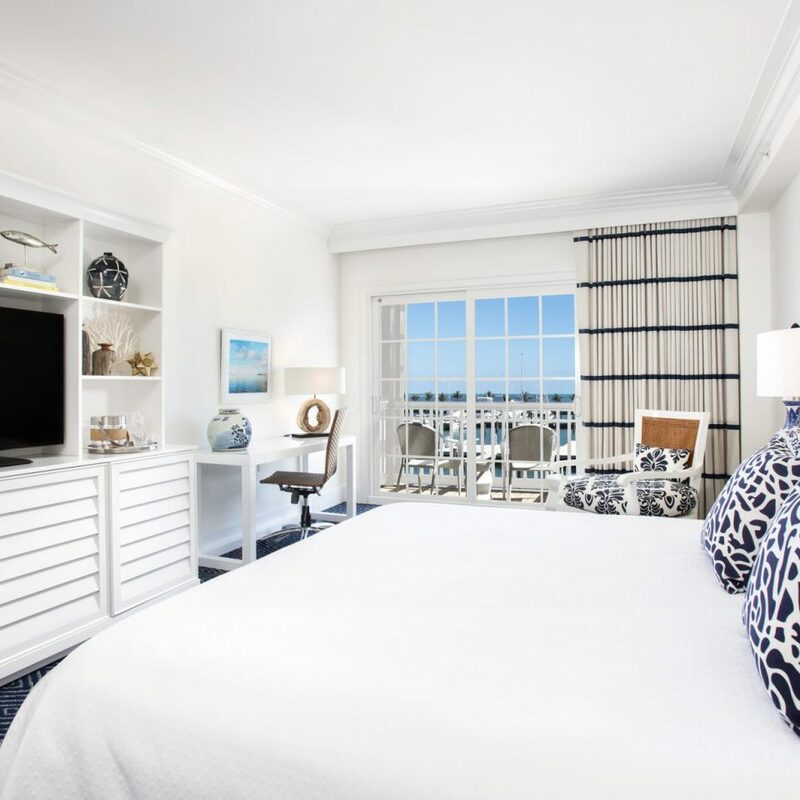 For local tips and reservations, take advantage of the hotel’s digital concierge, Porter & Sail. Beautiful exterior, lush plants, friendly staff upon arrival. Our room modern, clean and relaxing views. Definitely pleased. The only draw back is the price of drinks! A can of beer and 1 rum runner (small and in a plastic cup) $23.00 with taxes and gratuities. Unfortunately, bartender said the do not get the gratuities so we tip him more. Come to find, the front desk said that is not true. So the young man bartender was just scamming more money. You not allowed to bring your own drinks or food to the pools which ends up being very pricey after a few days. They do provide free shuttle >< downtown which was a great benefit and the food we did purchase was very good. Very pleased. This is our first time at Key West. Our experience has been above and beyond. Everyone at the front desk, restaurant, our experience with hotel amenities with kayak and sunset tour jet ski has been fabulous. Our room was beautiful, housekeeping is up to par. This is a very beautiful resort with many things to do, restaurant food was great from the breakfast, pool side accommodation, and dinner was fantastic. The only downfall was, we booked our reservation through Orbitz. They were horrible, communication between them and with the hotel almost ruined our trip, it took almost 3-4 days for orbitz to simply upgrade our room. They failed to do so, but the hotel manager, Claudia, made sure our stay was perfect! When we first tried to make changes, we started communication with the resort staff, Micky, who was horrible. She was very nasty, talked over my husband and was just plain mean and disrespectful. We have stayed at numerous hotels and have never been treated the way Mickey has treated us. I hope the hotel has their phone lines recorded and can hear our conversation with Mickey. I think Mickey alone should be let go or fired for almost ruining our vacation. I ask the hotel to please address this person, Mickey, for her mean nasty way she treated your guest. Overall, experience was fantastic. I sure hope Mickey is not a supervisor which she claims she is, otherwise she alone will give this hotel a horrible reputation. My daughter and I had an amazing experience with the Ocean's Edge Resort and Marina. The general manager, Claudia, was so very very kind and went out of her way to help us navigate a small debacle in our trip planning. We were upgraded to a beautiful sweet with breakfasts included. Every piece of our experience was top notch from Maria (our room cleaner... who took the time to create sweet animals out of our towels, very sweet notes, to making sure our room was immaculate upon our return) to Anton, our waiter, who was so so sweet and mindful of accommodating my gluten free diet. 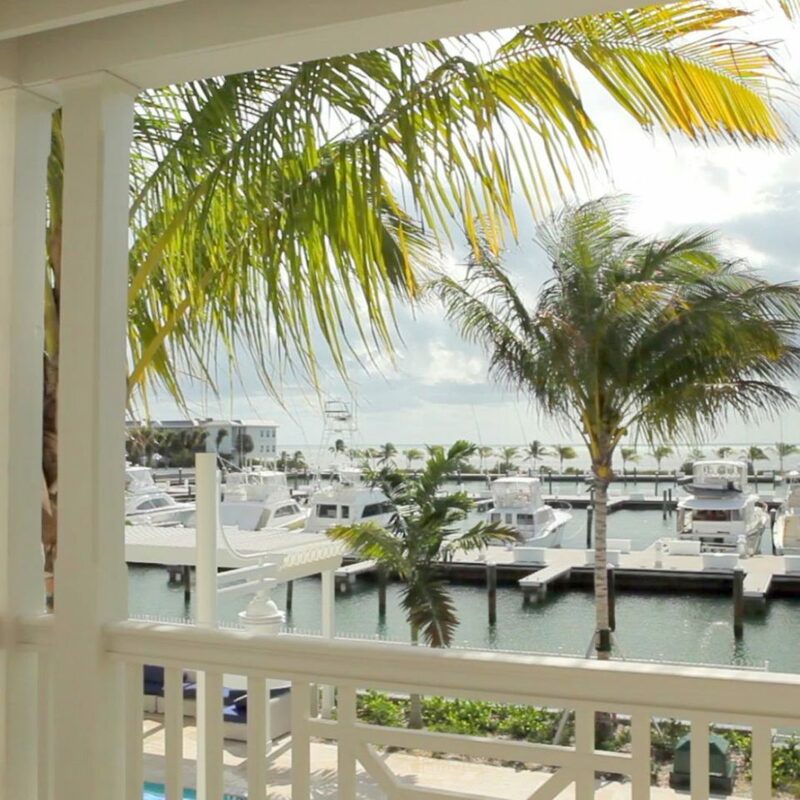 The atmosphere here brought us the peace and relaxation we were seeking in visiting the Keys. The pools were so immaculate and warm including the recliner chairs that were so comfortable. Having pool service was yet another super nice touch. This is a such a classy top notch resort and we will definitely be back to visit. So we booked this for 1 night to see how it went... not a great start as when we arrived the third bed for our son was not set up.. we came back a little later that evening & with a tired child it still wasnt ready.. reception did help pretty quickly and even waived our parking fee.. but it was so late we all ended up in the one bed..
We stayed for an extra night as it is a lovely resort. 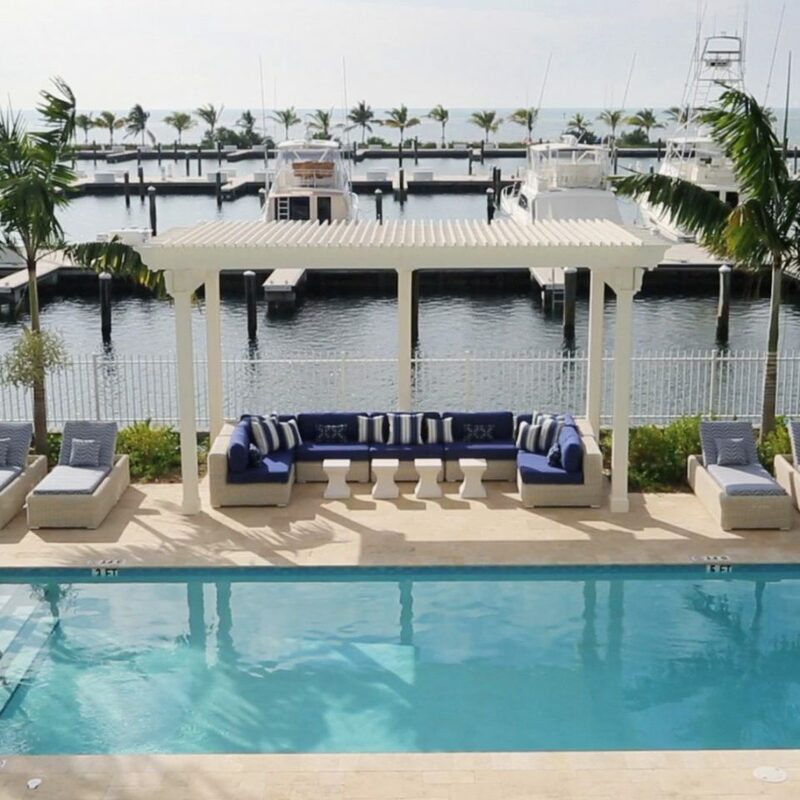 The location is right on a beautiful marina, pools are warm and everything is clean. Our room was really spacious for 3, and clean.. large bathroom with plenty of space for toiletries and hanging space... however the sofa bed for our son was so uncomfortable that he refused to sleep in it so I did.. at 5ft 2 I was hanging off it & had to sleep diagonally.. it was so hard thank goodness it was only for 1 night. Breakfast was tricky as we turned up and the restaurant was full so we had to wait in line for people to finish.. the staff were helpful enough but service was chaotic and needs work.. the shuttle into the centre was great & a nice touch.. all in all i would defiantly recommend this hotel .. I don’t agree with the parking fee it charges though.. I get why they do it but this should be waived for hotel guests .. Expensive but very low service quality ! Just one comment that summarized perfectly! You drive 3 hours with your family and you have to wait 4 hours to get your room ready ! Unacceptable !!! No other words! Very very low quality of service! I don’t recommend this hotel!